"Switching to Wolf Track Point of Sale Software saved me time and money." "Wolf Track Software makes running my store much easier than I would have imagined it could be. With the integrated trading guide and the ability to process credit cards through the POS, it saves me both time and money. And if I ever have a question about the software, it is handled quickly and professionally by a real live person! I am so pleased to have been using Wolf Track for over 4 years now and won't be switching anytime soon." "Wolf Tracks online connections saves me from having to pay somebody to enter in hours of inventory." "The customer service is great. Any questions I have are answered quickly by Wolf Tracks knowledgable support team." "Wolf Tracks Gaming Software has saved me tons of time on trading games." "Wolf Track has tons of great features to help my video game store. Our customers can even use their store credit at all of our stores instead of having to keep going back to the same location." 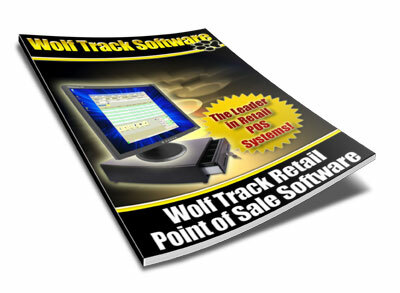 "I have been using Wolf Track Point of Sale Software for years and love it. It is quick, easy to use and simple to learn." "Wolf Track answered all of my questions and had my store running only minutes after signing up for the software." 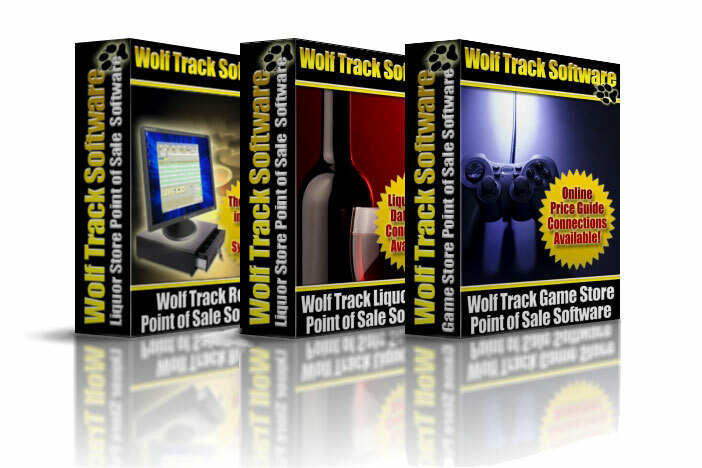 "Wolf Track saved me so much time and money I suggest them to everybody that needs Point of Sale Software." "I started off purchasing the least expensive point of sale software I could find. I have now switched to Wolf Track POS Software and it has saved me time and money. I recommend Wolf Track Software to anybody opening a video game store." "This is great software! I love how easy everything works together." "Wolf Track Software gives flexibility to buy what you need, when you need it." "Wolf Track database backups saved me and my store many hours of entering inventory." 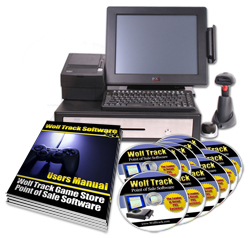 "Wolf Track Video Game POS does everything I need and the support is amazing." "I have worked with several other P.O.S. systems over the years, and this is the friendliest, easiest to use program that I have seen." "Thank you very much for all your help. I do appreciate the service and patience." Wolf Track offers any customer that purchases by the end of their trial a free best practices walk through. The best practices walk through will include installing and setting up the software remotely. We strive to make the process as easy as possible; so you can start checking people out once the walk through is over.